It’s mostly marketing speak, but Steve Herrod’s portion of the Keynote (20min in) and the licensing session (new vRAM limitation) are pretty useful stuff. 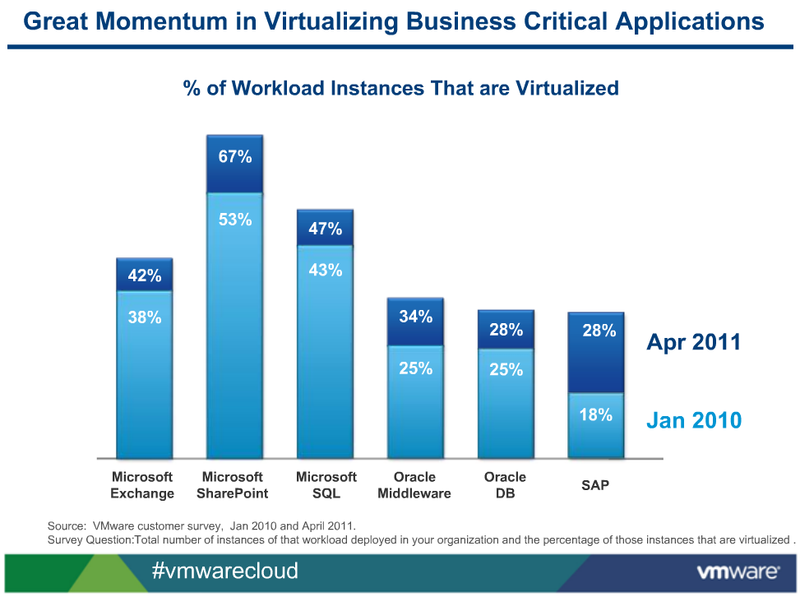 I also watched the vCloud Director session which was heavy on the marketing speak and heavy on the disappointment. I only care if vCloud Director can replace our install of Lab Manager. I don’t think the non-manager types care about the IT revolution. We just want our stuff to work and work well. Posted in Uncategorized.Tagged VMware, vSphere5.